This website is just one of a number of inspirational projects run by your local education charity (Charity Commission registration number 1095713). We’re called LEARNING NEVER STOPS. We exist to promote adult education in Colchester and the surrounding area. 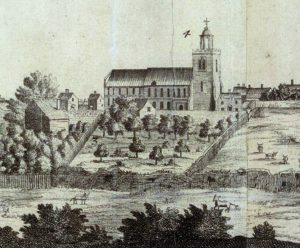 We grew from community involvement in Grey Friars when it was an adult college. We advocate, support and encourage all forms of participation in learning. Why do we support adult learning? We consider that taking part in professionally organised educational activities assists in the maintenance of good health, both physically and mentally, and can combat social isolation. We particularly encourage taking up courses and classes, rather than only participating in social gatherings because courses are structured for development and can help to stimulate the mind – as well as providing fellowship and encouraging sociability. Also, by drawing on experience, older people as fellow students can enhance others’ educational development. Why is adult learning important? Learning in adult life contributes significantly towards the development and sustainability of a civilised and cohesive society. Positive learning opportunities experienced at all stages of life foster open, enquiring minds and help to build greater understanding between individuals, generations and communities and build stronger neighbourhoods. Active participation in learning helps to create a society of active citizens. The idea for the project came from an overwhelming response by local people and tourists during the 2007 Heritage Open Weekend. 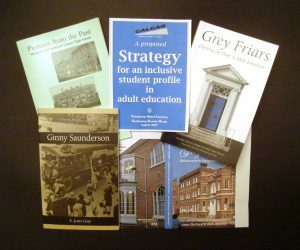 An exhibition and tours organised to mark the closure of Colchester’s Adult Community College after 40 years at Grey Friars received much interest from locals and visitors alike. This is the publishing arm of our charity. It was set up following a bequest to the adult college made by a former student, E. Joan Gray (1925-2000). 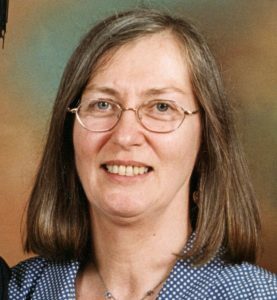 Joan attended courses at the college for several years and exemplified the Grey Friars ethos, having a genuine concern and interest in people and their welfare, development, communication and creative expression. 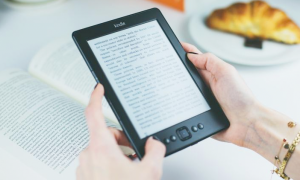 Among its publications are a book about the adult college (with inspirational stories of its students and staff), creative writing by adult students, and a policy paper on the education of older people. This is our latest project and this website is a key component. We will be engaging in activity through which we can advocate and support the widest possible participation in adult learning by local people, more especially through the listings, advice and guidance and success stories on this website, launched in January 2017, and the associated events (see the News section for updates). • Continuing to encourage the celebration of what is good and positive about adult learning in the Colchester area. Stay in touch. You can contact us through messaging or email. • Promoting more collaborative learning activity via our website and lectures to raise awareness of the fascination of local history. • Contacting and collaborating with like-minded organisations to increase appreciation of the benefits of learning throughout life for individuals and the community. • Continuing to engage in activity to promote lifelong learning in Colchester and the surrounding area. The Charity’s President, Sir Bob Russell, is a true Colcestrian, growing up and working in the town. As the town’s MP from 1997 to 2015, and before that a prominent local councillor and former Mayor, he is well known as being a tireless campaigner for the local community. Chairing the Charity is Jenny Jones, a former Senior Tutor and Deputy Principal at Grey Friars when it was the adult community college. She also has a number of active community roles, including with the Friends of Colchester Museums. Prominent in researching and presenting the Charity’s community learning ‘sharing heritage’ project on the history and architecture of the Grey Friars site is Joan Gurney. Formerly a Senior Tutor and Deputy Principal at Grey Friars, she was also a pupil there when it was the Colchester County High School for Girls. 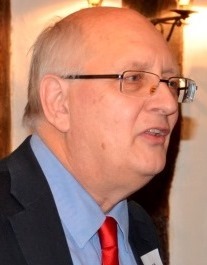 Fulfilling the role of archivist/secretary is Alan Skinner, the Principal at Grey Friars from 1983 to 2005. 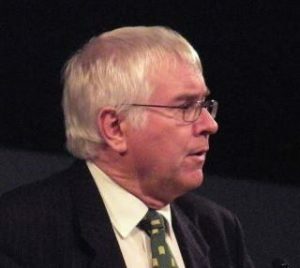 He was a founder member of the pioneering partnership of all post-school institutions which formed the Colchester Learning Shop in 2000. The partnership was dissolved in 2007 and it is hoped that this website and its associated activities will go some way to replacing some of the impartial informing, signposting and guiding functions. 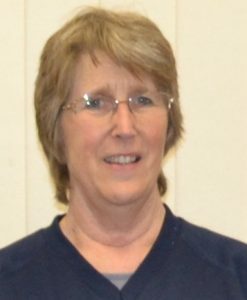 The Charity’s Treasurer is Sue Tye, an NHS health professional who is a former long-serving Governor of the now closed adult college, and was significantly involved in the Grey Friars Members’ Association for decades. 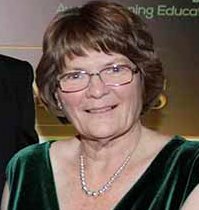 With a particular interest in open access for all to adult learning opportunities, Sue has been an active advocate for meaningful community involvement in provision of lifelong learning. 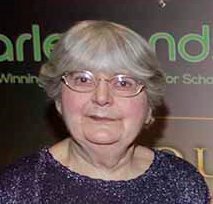 Marion Williams is a former tutor/lecturer in Art History at various local educational institutions and has been a tireless supporter of adult learning in Colchester for decades. 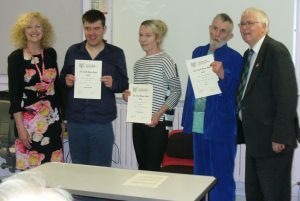 A long-standing member of the Charity, she was instrumental in setting up the Charity’s annual Frank Brown Awards for outstanding adult learning student performance and participation. Sylvia Skinner has had a long and varied career in education. 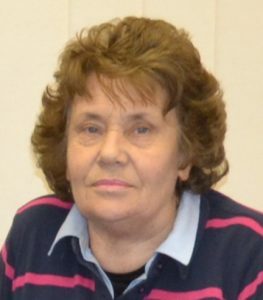 She is a former teacher in a number of Colchester schools and is currently a Colchester Tourist and Castle Guide and Secretary of the East Anglia Tourist Guides Association. Thank you for your interest. If you would like to support us in any way, please let us know by clicking on the ‘contact us’ button in the top menu.